Whether big or small or something in between, you’ll be amazed at the sheer variety of event locations in the canton of Bern, and by their charm and delightful settings. Biel-Bienne’s TISSOT ARENA is a state-of-the-art event location with up to 7,000 standing places located at the southern end of the Jura and very easily accessible travel-wise. It serves as an ice rink, football temple or curling hall, while also having space for small and large events, concerts, seminars, exhibitions and conventions. You will be very impressed by the foyer and the "Place Publique" with their open, multifunctional potentials and capacities of up to 1,000 people, while there are also separable spaces for smaller corporate events. Added to this is the impressive column-free curling hall with ice in winter, while in summer it also serves as a delightful alternative for events of all kinds. 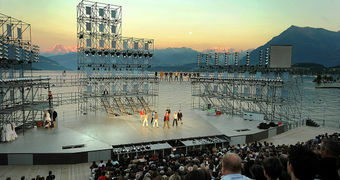 Switzerland’s largest outdoor events area is the BERNEXPO, located in the country’s capital city. Conceived as a trade fair centre and convention venue, this "Hotspot for People and Brands" can be used for events ranging from small to large with up to 5,000 participants. BERNEXPO is just as easy to reach by public transport as by private car – and there is a large parking garage directly underneath. In addition to the 8 exhibition halls, there is also a plenary hall, a lounge and conference rooms with catering services that can be individually customised for up to 800 people. When you rent the "Festival Tent" in Gstaad you not only have a possible capacity of up to 2,000 people but you also get a hint of Showtime thrown in. The 44 x 44-metre platform can be set up as desired for presentations and concerts as well as for meetings, seminars and banquets. Since the tent houses the Gstaad Menuhin Festival in summer, it meets the highest acoustic demands while also being pleasantly heated in the cooler months. Under the white-vaulted ceiling, the wooden floor and mood-enhancing candlelight on request serve to create a charmingly romantic atmosphere. The word "legendary" doesn’t really do it justice: Just about every superstar in the music and entertainment industry has delighted audiences at the Bierhübeli in Bern. As an event venue for occasions of all kinds – from seminars and company parties to tailor-made gala dinners with live concerts – the Bierhübeli is the perfect place. Use the lounge and the beer garden (up to 100 people) or invite your team to the large hall (up to 600 people) for a sit-down meal or an aperitif. Its size and capacity means that your suggestions can also be taken into account in terms of decoration and setup. From 12 to 400 people: The VICTORIA-JUNGFRAU Grand Hotel & Spa in Interlaken is perfect for meetings, seminars and conventions and exudes a charisma all of its own. Not only the location in the Bernese Oberland with its view of the Jungfrau promises exclusivity, but the amenities of a traditional, modern Grand Hotel can be adapted to suit your group. Two restaurants, two bars and 22 conference and banquet rooms offer options and flexibility for a business lunch, an aperitif or an exchange in a familiar setting. Complemented with a wide range of outdoor activities, your teambuilding becomes an experience in itself. 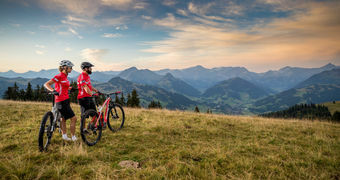 You and your team are sure to find success at "The Cambrian" set in the beautiful village of Adelboden. Surrounded by a superb mountain backdrop, this is the ideal setting for the inspiration to flow freely. The stylish Club Rooms – with space for 8 to 12 people – serve as group and workshop rooms and boast state-of-the-art equipment and every comfort. The Adelboden seminar room next door with its large windows and unique panorama is subdividable and has room for up to 70 people to meet or share ideas. And when the work is finished? Enjoy a fondue with your team in the nearby igloo or take a trip to see the beauties of nature. The Sunstar Alpine Hotel Grindelwald is located in the heart of the Jungfrau Region – and certainly leaves nothing to be desired for your team event. With all the exciting things one can do around the famed Eiger North Face, the Sunstar Alpine Hotel not only offers culinary delights, but also plenty of alternative outdoor experiences. And the premises are flexible too: 7 seminar and 3 group rooms can be combined in many ways. Each room has natural light and state-of-the-art technology and the seminar terrace is an inviting place for you to take a break and admire the magnificent mountain setting.